When we eat processed and fatty foods, our body gets fatigued and bogged down with the accumulation of toxins in our liver and kidneys. The main organ in our body that is responsible for filtering the toxins and metabolize the fat is our liver. With a burdened liver, our kidneys may also suffer from the blood toxicity, causing toxins build-up that lead to diseases. 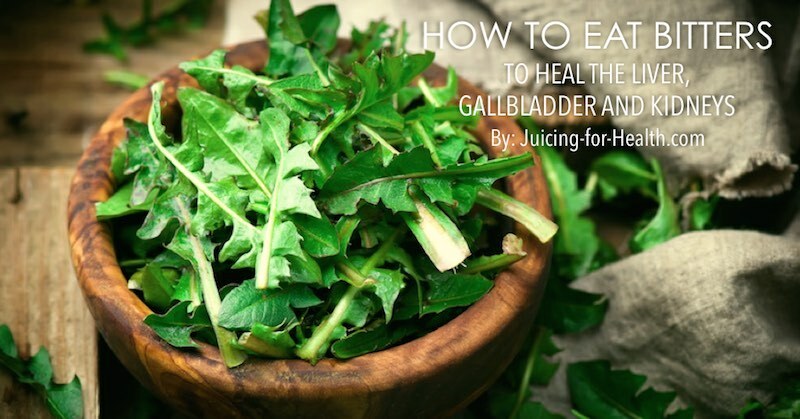 One of the best ways that we can support our liver and kidney functions to detoxify, is by consuming bitter vegetables and herbs. Most people love sweet fruits and hate the bitter taste of certain vegetables, thus miss out on the wonderful benefits of bitters. The bitter taste is often associated with poisonous chemical constituents, such as alkaloids, in plants. This bitter taste are meant to discourage animals from eating them. However, eating small quantities of these bitter foods are necessary for healing. Even the animals know to eat bitters when they are sick. 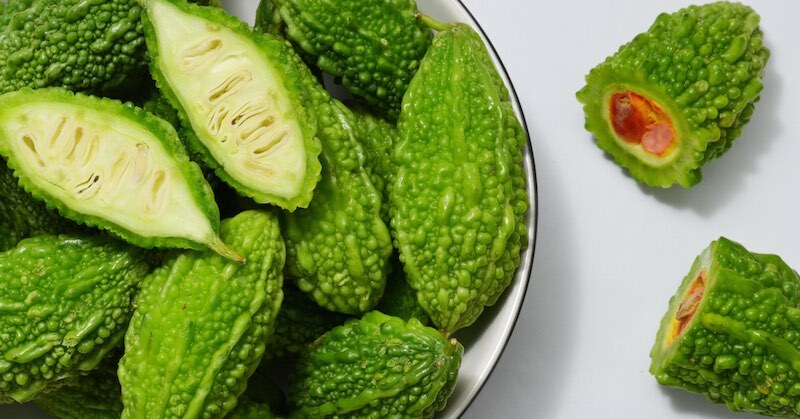 Although the bitter plant foods that I will be mentioning below, bear many nutritional and medicinal properties, the bitter taste itself activates a variety of important physiological responses. Bitters stimulate the secretion of digestive acids to improve digestion of foods and proper absorption of their nutrients. Individuals suffering from acid reflux may benefit from eating some bitters before a meal to encourage adequate stomach acid for better digestion. Bitters improve digestion and regularity, reduces food sensitivity reactions, heals leaky gut, and improves gut flora health. A healthy digestive system is necessary for a healthy body. Bitters improve appetite and strengthen normal digestive signals. Due to better absorption of nutrients, eating your meal with some bitters will help you to feel satiated and prevent overeating that may result in weight gain. In other words, eating bitters may be helpful for weight management. Bitters stimulate mucus secretion in the stomach that protects ulcers, thus helps in the healing of ulcers. Bitters are alkaline, and are beneficial for reducing body acidity. An acidic body is more prone to “host” parasites and viruses that cause diseases. Find out what are in the list of alkaline food here. Bitters support the functions of our endocrine glands, help balance hormone levels and lower blood sugar levels. This makes bitter foods an important addition to a diabetic’s diet. Bitters are excellent in improving liver and gallbladder functions by detoxifying toxins that cause inflammation and diseases. Eating bitters, especially bittermelon, can be helpful in ridding the body of kidney stones through naturally breaking them down. Bittermelon reduces high acid that contributes to formation of painful kidney stones. As mentioned above, the bitter plant foods have many nutritional and medicinal properties. But, in order to fully benefit from what the bitter taste can do, it is necessary to actually taste the bitterness that activates the neural reflexes and hormones released as a result of the stimulation of the bitter taste receptors. Don’t try to mask the bitter taste with honey or other sweeteners as that defeats the purpose of bitters. Similarly, by consuming the bitter foods in capsules and pills, you miss out on their tremendous health benefits. If you want to benefit from all the benefits that bitters provide, then it looks like you will need to acquire the taste of bitter! And the next time you eat a bitter food, think of what good bitters do for you! There are many bitter vegetables that you can eat raw, cooked, or juiced. Here is a short list of some bitters: Arugula, beet greens, bittergourd, chicory, dandelion greens, kale, spinach, purslane, radicchio, endive, Swiss chards, watercress. Bitter herbs: Burdock leaf, chicory root, dandelion root, dill, gentian root and milk thistle. To break down kidney stones, make bittergourd juice and drink about 6 ounces every day for a month. Stones will be broken down and eliminated in urination. Take about 6-8 pieces of small bittergourd, or 3 pieces of big bittergourd (whichever is available). Wash clean and remove seeds. Juice bittergourd and lemon, then add 1 tablespoon of olive oil. Use a mini immersion blender (see below) to blend the olive oil into the juice and drink. Or stir in the olive oil and drink the juice down. Do this every day, drink plenty of water, and after the third day you should feel stones being eliminated in your urination. Also read: How To Remove Kidney Stones With Watermelon Rind Juice. Bittergourd juice is very bitter and potent. If you’re not accustomed to eating bitter, I suggest you try in a small amount and see if you have any reaction. If you are pregnant, nursing, on prescription medications, undergoing any therapy, it is advisable not to consume too much bitters as they are very detoxifying and may cause a reaction in your body. I use this mini immersion blender to froth all my hot beverages, especially when I add spices such as cinnamon and turmeric, or coconut oil/milk. 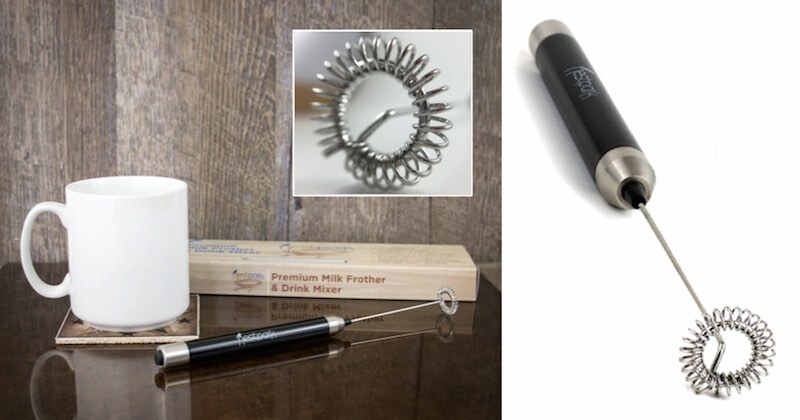 It is a battery-operated frother and so easy to use, wash and put away. Makes my drinks taste magically delicious. Well … you have to try it to know … and you will love it! You can get this drink mixer here and it comes with a Lifetime Guarantee! Bitter can be used as one of the most effective and home remedies for diabetes thanks to the blood glucose-lowering effect in it. In addition, it can also help you to increase pancreatic insulin secretion as well as prevent insulin resistance. 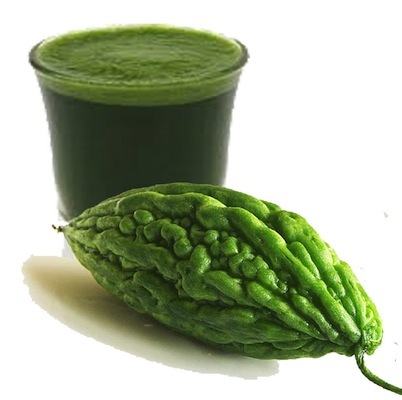 Therefore, bitter gourd is very beneficial for both types of diabetes. However, it may not be used to completely replace insulin treatment. Actually i love eating ampalaya leaves and fruits. This is the first to hear that bitter plants are good for our health. Thanks for this info.